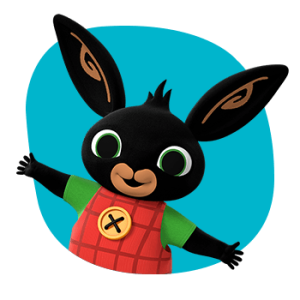 STUDIOCANAL is pleased to announce that the final volume in Season One of the popular Cbeebies show Bing is coming to DVD on 17 October, releasing as Show… And Other Episodes. To celebrate, we’re giving away 3 x DVD! Bing: Show… And Other Episodes is the eighth and final volume in Season One, following Swing, Storytime, Paddling Pool, Fireworks, Surprise Machine, Music and Cat. The DVD comes with paper cut-outs of the characters where families can enjoy creating a scene, perfect for a night in this Halloween! I have three copies to give away to three lucky winners! To enter all you need to do is use the Gleam form below. Good luck and don't forget to enter my other blog competitions! 1. There will be 3 winners who will each win 1 copy. a) Mark Rylance. Thank you for the chance to win!